The PX41 and PXM41 Series transducers are scheduled to go out of production at the end of 2017. The replacements are the PX51/PXM51 transducers. Please direct any Questions to Pressure Application Engineering. OMEGA’s PX41 is a high-accuracy, rugged, low-cost, 5 V output industrial pressure transducer. Its all stainless steel construction makes it suitable for the harshest environments. 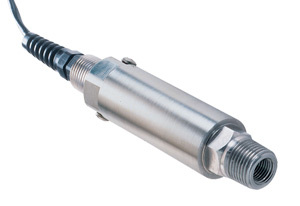 The PX41 is available in gage, absolute, or sealed models. Ten feet of 4-conductor shielded cable is standard. A twist-lock-style connector is also available. A wide selection of amplified voltage and current output models makes this a truly versatile family of industrial transducers. The PX41 is also available in metric configurations, with G1/4 or G1/8 ports, and models from 0-1 to 0-400 bar pressure ranges. Please see the PXM41 for complete details, or contact our Pressure department for more information..